Every year, more than 20,000 gamers descend on the Anaheim Convention Center to hear the latest news on the Warcraft, Starcraft and Diablo franchises from Blizzard. For the last few years, they have been joined by tens of thousands of people from around the world on the Blizzcon livestream; but the viewing experience has always had its share of problems. 2011 was no different, in fact the viewing experience this year was the most problematic that I have experienced. The live stream was flaky at the best of times, and I soon found that I was unable to pause things without screwing everything up. The stream also went down repeatedly, meaning that I spent a large part of my Blizzcon weekend catching up on some reading. When I decided to go back and watch panels that I had missed, I quickly found that half of them wouldn’t even play and the timestamps were completely wrong on those that would, forcing me to scan through the timeline looking for the right panel. The authentication system also seemed to be horribly broken, often asking me to buy a ticket before I could watch anything. The name of this expansion has been floating around the Internet for quite some time now, and speculation has been running wild. One thing that nobody saw coming was possibly one of the most important announcements of the convention: the new Annual Pass deal for WoW subscribers. Anyone who commits to a year’s subscription with WoW will also get a free copy of Diablo 3, and guaranteed beta access to Mists of Pandaria. I think that this is the shape of things to come for Blizzard, and I wouldn’t be at all surprised to see a Blizzard Annual pass granting access to all of their games. The pass is one of the most clever business moves Blizzard has made in a while, and I think it’s one of the few things that will slow down the loss of WoW subscribers. 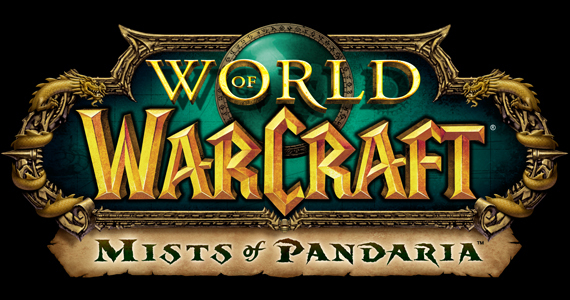 As for the expansion itself, the most notable feature is the new playable race: Pandarens. This is the first race to come to World of Warcraft that isn’t aligned with either the Horde or the Alliance. Instead, players adventure through the starting area up to level 10 before choosing a side. This is a great story idea, and something I hope we see more of in the future. The Pandarens are an interesting race, starting out as an April Fools Joke before being embraced by the community as one of the most requested features for the game. The island of Pandaria which will make up the majority of the new expansion looks fantastic, with many asian design influences combined into Blizzard’s unique art style. Unfortunately, while everything looks fantastic, there doesn’t seem to be all that much for players who are tired of how stale WoW has begun to feel. There’s a new class, Monk, which has some interesting mechanics, but at the end of the day it’s just another class. The talent system is getting a much-needed overhaul; Blizzard has decided to simplify the trees down to a few flavour abilities that will hopefully get rid of the ‘cookie cutter’ specs that have plagued the game since launch. Also added is Pokemon the Pet Battle System. Players will now be able to level up and battle their non-combat pets in a turn based system that is very similar to anyone who has ever heard the word Pikachu. Blizzard has a long history of lifting ideas from other games and folding them into WoW with a unique twist, often ending up with a better system than the original – so I’m confident that this will become a favourite feature for many players. 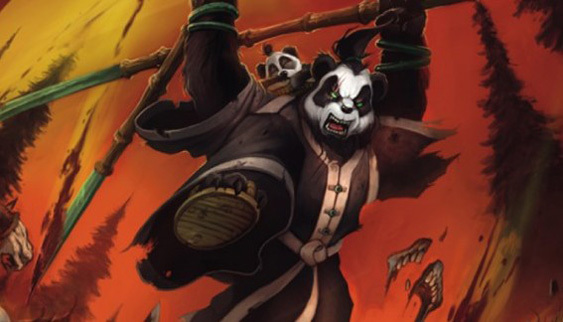 There are a whole bunch of other things (largely taken from recent MMO’s) that Blizzard is incorporating into Mists of Pandaria, but overall the expansion just feels like more of the same. World of Warcraft has been hemorrhaging subscribers ever since Cataclysm came out, and I really can’t see the new expansion doing much to stop that overall trend. It will be interesting to see what happens with World of Warcraft over the next couple of years, it’s been such a core part of the gaming landscape that I’m not sure what a market without it would look like. Information on anything outside of World of Warcraft felt a little thin this year, even for Blizzard’s second biggest franchise. 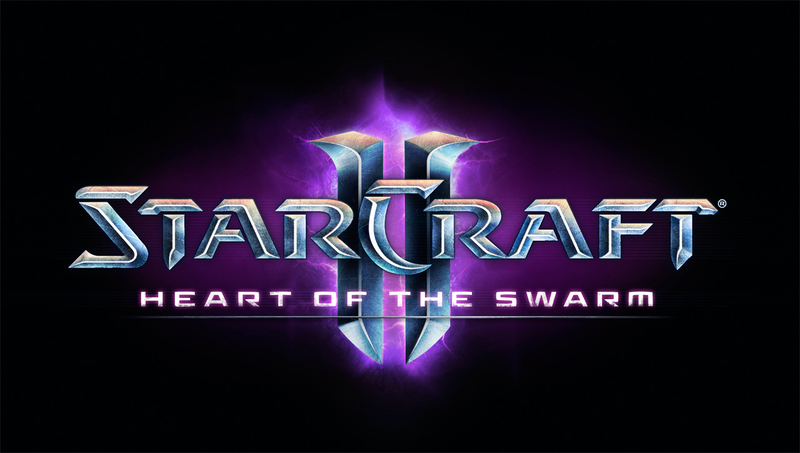 Everybody knows that Heart of the Swarm is due to come out next year, and that Kerrigan is going to be the focus. There was almost zero information on the single player campaign, and even the new multiplayer units didn’t feel like a big deal. I’m a big fan of competitive Starcraft and I understand how much of an impact these units are going to have on the tournament scene, but there didn’t really seem to be that much excitement in the air around anything that was announced for the game. In fact, the major developments for Starcraft seemed to be in the modding department. With the new expansion, Blizzard is completely overhauling the map editor, making development far easier for modders, with 3DS Max integration, a new cut scene and UI editor as well as many other backend tweaks. The marketplace has been renamed to the Arcade, and we got our first look at what the system will look like in Battle.Net. The Starcraft team seems devoted to supporting the modding scene well into the future, and I look forward to seeing what the community can create with the new tools at their disposal. I might even give the tools a go myself. As an example of what is possible with the new modding tools, the Starcraft team once again brought out Blizzard DOTA for people to play. But the game has changed massively since last year. There have been so many DOTA style games coming out lately and most of them are just iterations on the original formula, tweaking things rather than reinventing the wheel. Blizzard has obviously recognised this trend, and went back to the drawing board with Blizzard DOTA. The game that is now on display is a far cry from what we’ve seen before, with the classic Blizzard humour integrated with a number of significant changes in the core gameplay mechanics that are aimed at making the complicated genre more accessible to new players, and removing the horrific community that often grows up around this style of game. While I’ve never been a fan of the genre (largely due to the aforementioned community), I can definitely see myself trying out Blizzard DOTA when it comes out sometime next year. 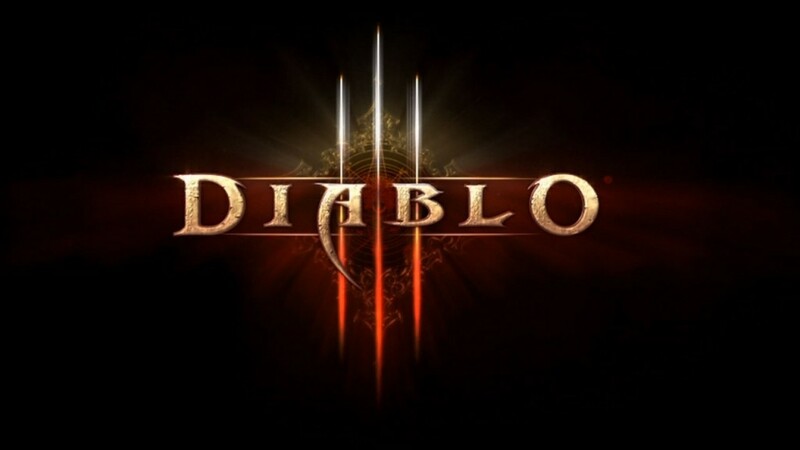 News for the Diablo franchise was even harder to find than Starcraft news. We got to see a cool new trailer, and there was a bit of information on new multiplayer modes, but other than that everybody is just waiting to see when the game finally comes out. The delay until next year was disappointing, but not entirely unexpected given Blizzard’s design philosophy. Hopefully the game will reach their desired level of polish soon enough to make a January or February release date (possibly wishful thinking on my part). The most interesting information on Diablo 3 was in the behind the scenes panel on the creation of the ‘Black Soulstone‘ cinematic shown at the opening ceremony. The panel dissected every aspect of what goes into creating one of these movies, and showed everybody why Blizzard has gained such a reputation for quality. You could really tell that the panelists were excited to show off their work and answer questions, something that is needed to turn a good panel into a great panel. 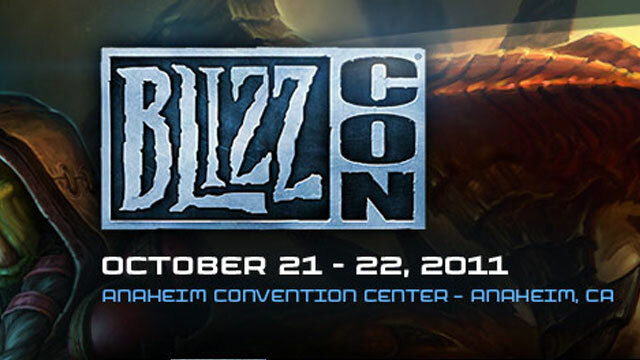 One of the most hit and miss aspects of Blizzcon every year is the contests held on the Friday night. 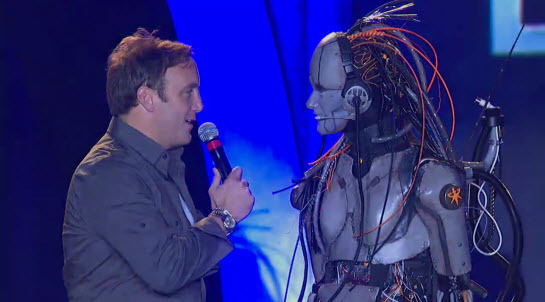 The evening usually suffers from extremely poor planning, leaving comedian Jay Mohr stuck on stage trying to keep the crowd interested enough not to walk out the door. Thankfully, things seemed to run much smoother this year, and there was a minimum of downtime. While the timing worked fairly well, I still feel that there are major problems with the evening’s centrepiece, the costume contest. Every year we see dozens of virtually identical Sylvanas Windrunner or Tyrande Whisperwind costumes on stage while press coverage shows us a whole range of fun and interesting costumes that never even make it into the contest. Blizzard has for years had a policy of only accepting entries from the first 200(ish) people, leaving anyone who got stuck in a queue out in the cold. I think the fairest solution to these two problems is to have everyone who wants to enter display their costume to a panel during the day, with only the top 100 costumes appearing on stage in the evening. It would make things more interesting for the audience, and it allows everyone to have their chance at fame and prize money. I want to see more amazing costumes like the above pictured Adjutant (this year’s winner) and less of the guys dressed as cows appearing for the umpteenth year in a row. I would write a commentary on the closing ceremony, but as of this writing I am still unable to watch it. Overall, this year’s Blizzcon was an improvement on last year, but the combination of technical problems and lack of new information for Starcraft and Diablo meant that it still wasn’t that exciting. Blizzard always talks about how much Blizzcon means to them, but I feel that they have to start planning around it a bit more. Everyone is expecting to hear big new announcements at Blizzcon, they need to plan properly to fulfil those expectations. The level of technical problems this year are pretty inexcusable for something this large, and I know that a lot of people are debating over whether to purchase another virtual ticket next year. I know I am.